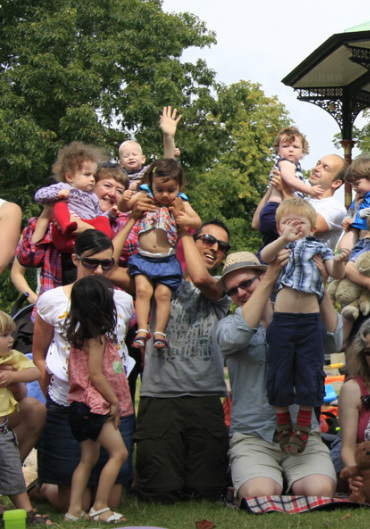 We had a great day celebrating 3 years of SE London Dads, meeting by the bandstand in Greenwich park and spending a lovely afternoon in the sunshine. Over 20 kids, roughly 40 dads and mums (many of them expecting) came by buggy and scooter and we set up camp. It was great to welcome back SE London Dads' founder Martin Hastings with his wife and children. 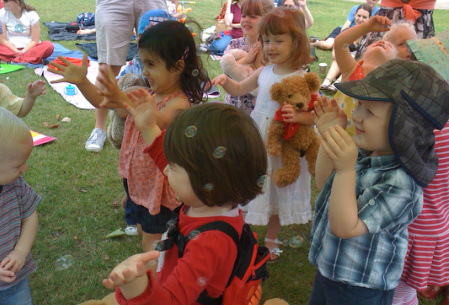 We had arranged entertainment from Theatrebugs (www.theatrebugs.co.uk) who kept the kids captivated with interactive plays, stories, songs, games and bubbles. 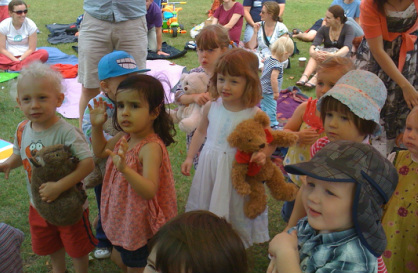 We shared in a big picnic with cake for everyone. 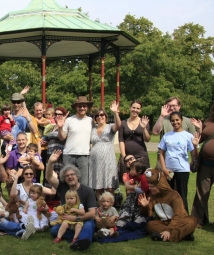 Thanks to everyone who came, to Theatrebugs, and especially to the dads who organised the day. Here's to many more years to come!